1. Mayr, E., Systematics and the Origin of Species, Columbia University Press, New York, 1942. 2. Dobzhansky, T., Genetics and the Origin of Species, Columbia University Press, New York, 1951. 3. Schlüter, D., The Ecology of Adaptive Radiation, Oxford University Press, Oxford, 2000. 4. Coyne, J.A. and Orr, H.A., Speciation, Sinauer Associates, Inc, Sunderland, 2004. 5. Orr, M.R. and Smith, T.B., Ecology and speciation, TrendsEcol. Evol., 13, 502, 1998. 6. Lack, D., Darwin's Finches, Cambridge University Press, Cambridge, 1947. 7. Darwin, C., On the Origin of Species by Means of Natural Selection, or the Preservation of Favoured Races in the Struggle for Life, John Murray, London, 1859. 8. Mayr, E., Animal Species and Evolution, Harvard University Press, Cambridge, 1963. 9. Simpson, G.G., The Major Features of Evolution, Columbia University Press, New York, 1953. 10. Endler, J.A., Geographic Variation, Speciation, and Clines, Princeton University Press, Princeton, NJ, 1977. 11. Ptacek, M.B., The role of mating preferences in shaping interspecific divergence in mating signals in vertebrates, Behav. Proc., 51, 111, 2000. 12. Butlin, R.K. and Ritchie, M.G., Behavior and speciation, in Behavior and Evolution, Slater, P.J.B. and Halliday, T.R., Eds., Cambridge University Press, Cambridge, 1994, p. 43. 13. Bush, G.L., Sympatric speciation in animals: new wine in old bottles, Trends Ecol. Evol., 9, 285, 1994. 14. Nosil, P., Vines, T.H. and Funk, D.J., Reproductive isolation caused by natural selection against immigrants from divergent habitats, Evolution, 59, 705, 2005. 15. Schluter, D., Ecology and the origin of species, Trends Ecol. Evol., 16, 372, 2001. 16. Turelli, M., Barton, N.H., and Coyne, J.A., Theory and speciation, Trends Ecol. Evol., 16, 330, 2001. 17. Rundle, H.D. and Whitlock, M.C., A genetic interpretation of ecologically dependent isolation, Evolution, 55, 198, 2001. 18. Rice, W.R. and Hostert, E.E., Laboratory experiments on speciation: what have we learned in 40 years, Evolution, 47, 1637, 1993. 19. Boughman, J.W., Divergent sexual selection enhances reproductive isolation in sticklebacks, Nature, 411, 944, 283, 2001. 20. Endler, J.A. and Basolo, A.L., Sensory ecology, receiver biases and sexual selection, Trends Ecol. Evol., 13, 415, 1998. 21. Wiley, R.H., Associations of song properties with habitats for territorial oscine birds of eastern North America, Am. Nat., 138, 973, 1991. 22. Slabbekoorn, H. and Smith, T.B., Habitat-dependent song divergence in the little greenbul: an analysis of environmental selection pressures on acoustic signals, Evolution, 56, 1849, 2002. 23. Rundle, H.D., A test of ecologically dependent postmating isolation between sym-patric sticklebacks, Evolution, 56, 322, 2002. 24. Wang, H., McArthur, E.D., Sanderson, S.C., Graham, J.H. and Freeman, D.C., Narrow hybrid zone between two subspecies of big sagebrush (Artemisia tridentata: Aster-aceae). 4. Reciprocal transplant experiments, Evolution, 51, 95, 1997. Schluter, D. and Nagel, L.M., Parallel speciation by natural selection, Am. Nat., 146, 292, 1995. Rundle, H.D., Nagel, L., Boughman, J.W., and Schluter, D., Natural selection and parallel speciation in sympatric sticklebacks, Science, 287, 306, 2000. Nagel, L. and Schluter, D., Body size, natural selection, and speciation in sticklebacks, Evolution, 52, 209, 1998. McKinnon, J.S., Mori, S., Blackman, B.K., David, L., Kingsley, D.M., Jamieson, L., Chou, J., and Schluter, D., Evidence for ecology's role in speciation, Nature, 429, 294, 2004. Grant, PR. and Grant, B.R., Unpredictable evolution in a 30-year study of Darwin's finches, Science, 296, 707, 2002. Hendry, A.P. and Kinnison, M.T., The pace of modern life: measuring rates of contemporary microevolution, Evolution, 53, 1637, 1999. Stockwell, C.A., Hendry, A.P., and Kinnison, M.T., Contemporary evolution meets conservation biology, Trends Ecol. Evol, 18, 94, 2003. Sheldon, S.P and Jones, K.N., Restricted gene flow according to host plant in an herbivore feeding on native and exotic watermilfoils (Myriophyllum: Haloragaceae), Int. J. Plant Sci, 162, 793, 2001. Via, S., Bouck, A.C., and Skillman, S., Reproductive isolation between divergent races of pea aphids on two hosts. II. Selection against migrants and hybrids in the parental environments, Evolution, 54, 1626, 2000. Hendry, A.P, Wenburg, J.K., Bentzen, P., Volk, E.C., and Quinn, T.P., Rapid evolution of reproductive isolation in the wild: evidence from introduced salmon, Science, 290, 516, 2000. Hendry, A.P., Selection against migrants contributes to the rapid evolution of ecologically-dependent reproductive isolation, Evol. Ecol. Res., 6, 1219, 2004. Bradbury, J.W. and Vehrencamp, S.L., Principles of Animal Communication, Sinauer Associates, Sunderland, MA, 1998. Kodric-Brown, A. and Brown, J.H., Truth in advertising: the kinds of traits favored by sexual selection, Am. Nat., 124, 309, 1984. Reinhold, K., Greenfield, M.D., Jang, Y.W., and Broce, A., Energetic cost of sexual attractiveness: ultrasonic advertisement in wax moths, Anim. Behav., 55, 905, 1998. Ryan, M.J., Energy, calling, and selection, Am. Zool., 28, 885, 1988. Taigen, T.L. and Wells, K.D., Energetics of vocalization by an anuran amphibian (Hyla versicolor), J. Comp. Physiol. B, 155, 163, 1985. Rome, L.C., Syme, D.A., Hollingworth, S., Lindstedt, S.L., and Baylor, S.M., The whistle and the rattle: the design of sound producing muscles, Proc. Natl. Acad. Sci. U.S.A., 93, 8095, 1996. Bostwick, K.S. and Prum, R.O., High-speed video analysis of wing-snapping in two manakin clades (Pipridae: Aves), J. Exp. Biol., 206, 3693, 2003. Elemans, C.PH., Spierts, I.L.Y., Muller, U.K., van Leeuwen, J.L. and Goller, F., Superfast muscles control dove's trill, Nature, 431, 146, 2004. Zahavi, A., Mate selection: A selection for a handicap, J. Theor. Biol., 53, 205, 1975. Grafen, A., Biological signals as handicaps, J. Theor. Biol., 144, 517, 1990. Walther, B.A. and Clayton, D.H., Elaborate ornaments are costly to maintain: evidence for high maintenance handicaps, Behav. Ecol., 16, 89, 2005. West-Eberhard, M.J., Sexual selection, social competition, and speciation, Quart. Rev. Biol., 58, 155, 1983. Ryan, M.J. and Rand, A.S., Species recognition and sexual selection as a unitary problem in animal communication, Evolution, 47, 647, 1993. 49. Graves, G.R., Bergmann's rule near the equator: latitudinal clines in body size of an Andean passerine bird, Proc. Natl. Acad. Sci. U.S.A., 88, 2322, 1991. 50. de Queiroz, A. and Ashton, K.G., The phylogeny of a species-level tendency: species heritability and possible deep origins of Bergmann's rule in tetrapods, Evolution, 58, 1674, 2004. 51. Ashton, K.G. and Feldman, C.R., Bergmann's rule in nonavian reptiles: turtles follow it, lizards and snakes reverse it, Evolution, 57, 1151, 2003. 52. 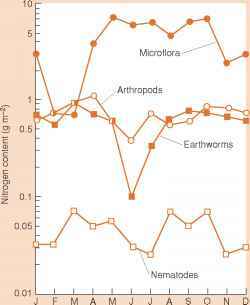 Schmidt-Nielsen, K.S, Scaling: Why Is Animal Size So Important? Cambridge University Press, Cambridge, 1984. 53. Arnett, A.E. and Gotelli, N.J., Bergmann's rule in larval ant lions: testing the starvation resistance hypothesis, Ecol. Entomol., 28, 645, 2003. 54. Roff, D.A. The Evolution of Life Histories, Chapman & Hall, New York, 1992. 55. Blanckenhorn, W.U., The evolution of body size: what keeps organisms small? Quart. Rev. Biol., 75, 385, 2000. 56. Calder, W.A., Size, Function, and Life History, Harvard University Press, Cambridge, 1984. 57. Ord, T.J. and Blumstein, D.T., Size constraints and the evolution of display complexity: why do large lizards have simple displays? Biol. J. Linn. Soc, 76, 145, 2002. 58. Fletcher, N.H., A simple frequency-scaling rule for animal communication, J. Acoust. Soc. Am., 115, 2334, 2004. 59. Cutler, B., Anatomical Studies of the Syrinx of Darwin's Finches, San Francisco State University, San Francisco, 1970. 60. Bowman, R.I., The evolution of song in Darwin's finches, in Patterns of Evolution in Galápagos Organisms, Bowman, R.I., Berson, M., and Leviton, A.E., Eds., American Association for the Advancement of Science, San Francisco, 1983, p. 237. 61. Ryan, M.J. and Brenowitz, E.A., The role of body size, phylogeny, and ambient noise in the evolution of bird song, Am. Nat., 126, 87, 1985. 62. Wallschläger, D., Correlation of song frequency and body weight in passerine birds, Experientia, 36, 69, 1980. 63. Martin, W.F., Evolution of vocalization in the toad genus Bufo, in Evolution in the Genus Bufo, Blair, W.F., Ed., University of Texas Press, Austin, 1972, p. 279. 64. Ryan, M.J., The Tungara Frog, University of Chicago Press, Chicago, 1985. 65. Palacios, M.G. and Tubaro, P.L., Does beak size affect acoustic frequencies in wood-creepers? Condor, 102, 553, 2000. 66. Bertelli, S. and Tubaro, P.L., Body mass and habitat correlates of song structure in a primitive group of birds, Biol. J. Linn. Soc., 77, 423, 2002. 67. Andersson, M. and Norberg, R.A., Evolution of reversed sexual size dimorphism and role partitioning among predatory birds, with a size scaling of flight performance, Biol. J. Linn. Soc, 15, 105, 1981. 68. Blomqvist, D., Johansson, O.C., Unger, U., Larsson, M., and Flodin, L.A., Male aerial display and reversed sexual size dimorphism in the dunlin, Anim. Behav., 54, 1291, 1997. 69. Szekely, T., Freckleton, R.P., and Reynolds, J.D., Sexual selection explains Rensch's rule of size dimorphism in shorebirds, Proc. Natl. Acad. Sci. U.S.A., 101, 12224, 2004. 70. Hernández, M.I.M. and Benson, W.W., Small-male advantage in the territorial tropical butterfly Heliconius sara (Nymphalidae): a paradoxical strategy? Anim. Behav., 56, 533, 1998. 71. Kemp, D.J. and Wiklund, C., Fighting without weaponry: a review of male-male contest competition in butterflies, Behav. Ecol. Sociobiol., 49, 429, 2001. McLachlan, A.J. and Allen, D.F., Male mating success in Diptera: advantages of small size, Oikos 48, 11, 1987. Boughman, J.W., Rundle, H.D., and Schlüter, D., Parallel evolution of sexual isolation in sticklebacks, Evolution 59, 361, 2005. Rahman, N., Dunham, D.W., and Govind, C.K., Size-assortative pairing in the big-clawed snapping shrimp, Alpheus heterochelis, Behaviour, 139, 1443, 2002. Harari, A.R., Handler, A.M., and Landolt, P.J., Size-assortative mating, male choice and female choice in the curculionid beetle Diaprepes abbreviatus, Anim. Behav., 58, 1191, 1999. Crespi, B.J., Causes of assortative mating in arthropods, Anim. Behav., 38, 980, 1989. Irschick, D.J. and Garland, T. Jr., Integrating function and ecology in studies of adaptation: investigations of locomotor capacity as a model system, Ann. Rev. Ecol. Syst., 32, 367, 2001. Jones, J.H. and Lindstedt, S.L., Limits to maximal performance, Ann. Rev. Physiol., 55, 547, 1993. Webb, P.W., Body form, locomotion and foraging in aquatic vertebrates, Am. Zool, 24, 107, 1984. Norberg, U.M., Vertebrate Flight: Mechanics, Physiology, Morphology, Ecology and Evolution, Springer-Verlag, Berlin, 1990. Bramble, D.M. and Lieberman, D.E., Endurance running and the evolution of Homo, Nature, 432, 345, 2004. Irschick, D.J., Measuring performance in nature: implications for studies of fitness within populations, Integ. Comp. Biol., 43, 396, 2003. Losos, J.B., Warheit, K.I., and Schoener, T.W., Adaptive differentiation following experimental island colonization in Anolis lizards, Nature, 387, 70, 1997. Losos, J.B. and Irschick, D.J., The effect of perch diameter on escape behaviour of Anolis lizards: Laboratory predictions and field tests, Anim. Behav., 51, 593, 1996. Langerhans, R.B., Layman, C.A., Shokrollahi, A.M., and DeWitt, T.J., Predator-driven phenotypic diversification in Gambusia affinis, Evolution, 58, 2305, 2004. Langerhans, R.B. and DeWitt, T.J., Shared and unique features of evolutionary diversification, Am. Nat., 164, 335, 2004. Lorenz, K.Z., The comparative method in studying innate behaviour patterns, Symp. Soc. Exp. Biol., 4, 221, 1950. Heinroth, O. and Heinroth, K., Aus dem Leben der Vogel, Springer-Verlag, Berlin, 1955. Dantzker, M.S., Deane, G.B., and Bradbury, J.W., Directional acoustic radiation in the strut display of male sage grouse Centrocercus urophasianus, J. Exp. Biol., 202, 2893, 1999. Gibson, R.M., Female choice in sage grouse: the roles of attraction and active comparison, Behav. Ecol. Sociobiol., 39, 55, 1996. Daanje, A., On locomotory movements in birds and the intention movements derived from them, Behaviour, 3, 48, 1950. Tinbergen, N., The Study of Instinct, Clarendon Press, Oxford, 1951.
Cooper, B.G. and Goller, F., Multimodal signals: enhancement and constraint of song motor patterns by visual display, Science, 303, 544, 2004. Boggs, D.F., Seveyka, J.J., Kilgore, D.L.J., and Dial, K.P., Coordination of respiratory cycles with wingbeat cycles in the black-billed magpie (Pica pica), J. Exp. Biol., 200, 1413, 1997. Huber, S.K., Coordination of vocal production and flight in the cockatiel Nymphaticus hollandicus, Integ. Comp. Biol., 42, 1246, 2002. 96. Liem, K.F., Evolutionary strategies and morphological innovations: cichlid pharyngeal jaws, Syst. Zool., 22, 42S, 1973. 97. Yanega, G.M. and Rubega, M.A., Hummingbird jaw bends to aid insect capture, Nature, 428, 613, 2004. 98. Schwenk, K., Feeding: Form, Function, and Evolution in Tetrapod Vertebrates, Academic Press, San Diego, 2000. 99. Dumont, E.R., Bats and fruit: an ecomorphological approach, in Bat Ecology, Kunz, T.H. and Fenton, M.B., Eds., University of Chicago Press, Chicago, 2003, p. 398. 100. Lauder, G.V. and Liem, K.F., Prey capture by Luciocephalus pulcher implications for models of jaw protrusion in teleost fishes, Env. Biol. Fishes, 6, 2S7, 1981. 101. Liem, K.F., Adaptive significance of intra- and interspecific differences in the feeding repertoires of cichlid fishes, Am. Zool., 20, 29S, 1980. 102. Westneat, M.W. and Wainwright, P.C., Feeding mechanism of Epibulus insidiator (Labridae, Teleostei): evolution of a novel functional system, J. Morphol., 202, 129, 1989. 103. Norton, S.F. and Brainerd, E.L., Convergence in the feeding mechanics of ecomor-phologically similar species in the Centrarchidae and Cichlidae, J. Exp. Biol., 176, 11, 1993. 104. Smith, T.B. and Skúlason, S., Evolutionary significance of resource polymorphisms in fishes, amphibians, and birds, Ann. Rev. Ecol. Syst., 27, 111, 1996. 105. Mittelbach, G.C., Osenberg, C.W., and Wainwright, P.C., Variation in feeding morphology between pumpkinseed populations: phenotypic plasticity or evolution? Evol. Ecol. Res, 1, 111, 1999. 106. Liem, K.F., Modulatory multiplicity in the feeding mechanism in cichlid fishes, as exemplified by the invertebrate pickers of Lake Tanganyika, J. Zool., Lond., 189, 93, 1979. 107. Streelman, J.T., Alfaro, M., Westneat, M.W., Bellwood, D.R., and Karl, S.A., Evolutionary history of the parrotfishes: biogeography, ecomorphology, and comparative diversity, Evolution, S6, 961, 2002. 108. Grant, PR., Ecology and Evolution of Darwin's Finches, Princeton University Press, Princeton, NJ, 1999. 109. Amadon, D., The Hawaiian honeycreepers, Bull. Am. Mus. Nat. Hist., 9S, 1S1, 19S0. 110. Simmons, R. and Scheepers, L., Winning by a neck: sexual selection in the evolution of giraffe, Am. Nat., 148, 771, 1996. 111. Crane, J., Fiddler Crabs of the World. Ocypodidae: Genus Uca. Princeton University Press, Princeton, NJ, 197S. 112. Bowman, R.I., Morphological differentiation and adaptation in the Galápagos finches, Univ. Calif. Publ. Zool, S8, 1, 1961. 113. Nowicki, S., Vocal-tract resonances in oscine bird sound production: evidence from birdsongs in a helium atmosphere, Nature, 32S, S3, 1987. 114. Beckers, G.L., Suthers, R.A., and ten Cate, C., Pure-tone birdsong by resonance filtering of harmonic overtones, Proc. Nat. Acad. Sci. U.S.A., 100, 7372, 2003. 115. Nowicki, S. and Marler, P., How do birds sing? Music Perception, S, 391, 1988. 116. Fletcher, N.H. and Tarnopolsky, A., Acoustics of the avian vocal tract, J. Acoust. Soc. Am., 10^ 3S, 1999. 117. Nowicki, S., Westneat, M.W., and Hoese, W.J., Birdsong: motor function and the evolution of communication, Sem. Neurosci., 4, 38S, 1992. 118. Herrel, A., O'Reilly, J.C., and Richmond, A.M., Evolution of bite performance in turtles, J. Evol. Biol., 1083, 2002. Rome, L.C., Cook, C., Syme, D.A., Connaughton, M.A., Ashley-Ross, M., Klimov, A., Tikunov, B., and Goldman, Y.E., Trading force for speed: why superfast cross-bridge kinetics leads to superlow forces, Proc. Natl. Acad. Sci. U.S.A., 96, 5826, 1999. Westneat, M.W., Long, J.H., Hoese, W., and Nowicki, S., Kinematics of birdsong: functional correlation of cranial movements and acoustic features in sparrows, J. Exp. Biol., 182, 147, 1993. Podos, J., Southall, J.A., and Rossi-Santos, M.R., Vocal mechanics in Darwin's finches: correlation of beak gape and song frequency, J. Exp. Biol., 207, 607, 2004. Williams, H., Choreography of song, dance and beak movements in the zebra finch (Taeniopygia guttata), J. Exp. Biol., 204, 3497, 2001. Goller, F., Mallinckrodt, M.J., and Torti, S.D., Beak gape dynamics during song in the zebra finch, J. Neurobiol, 59, 289, 2004. Hoese, W.J., Podos, J., Boetticher, N.C., and Nowicki, S., Vocal tract function in birdsong production: experimental manipulation of beak movements, J. Exp. Biol., 203, 1845, 2000. Podos, J., A performance constraint on the evolution of trilled vocalizations in a songbird family (Passeriformes: Emberizidae), Evolution, 51, 537, 1997. Grant, B.R. and Grant, P.R., Simulating secondary contact in allopatric speciation: an empirical test of premating isolation, Biol. J. Linn. Soc., 76, 545, 2002. Slabbekoorn, H. and Smith, T.B., Does bill size polymorphism affect courtship song characteristics in the African finch Pyrenestes ostrinus? Biol. J. Linn. Soc., 71, 737, 2000. Podos, J., Correlated evolution of morphology and vocal signal structure in Darwin's finches, Nature, 409, 185, 2001. Seddon, N., Ecological adaptation and species recognition drives vocal evolution in neotropical suboscine birds, Evolution, 59, 200, 2005. Huber, S.K. and Podos, J., Beak morphology and song features covary in a population of Darwin's finches, Biol. J. Linn. Soc., in press. Herrel, A., Podos, J., Huber, S.K., and Hendry, A.P., Bite performance and morphology in a population of Darwin's finches: implications for the evolution of beak shape, Funct. Ecol, 19, 43, 2005. Price, T.D., Grant, P.R., Gibbs, H.L., and Boag, PT., Recurrent patterns of natural selection in a population of Darwin's finches, Nature, 309, 787, 1984. Grant, PR. and Grant, B.R., Predicting microevolutionary responses to directional selection on heritable variation, Evolution, 49, 241, 1995. Boag, P.T. and Grant, P.R., Intense natural selection in a population of Darwin's finches (Geospizinae) in the Galápagos, Science, 214, 82, 1981. Grant, B.R. and Grant, P.R., Hybridization and speciation in Darwin's finches: the role of sexual imprinting on a culturally transmitted trait, in Endless Forms: Species and Speciation, Howard, D.J. and Berlocher, S.H., Eds., Oxford University Press, Oxford, p. 404, 1998. Grant, PR. and Grant, B.R., Mating patterns of Darwin's finch hybrids determined by song and morphology, Biol. J. Linn. Soc., 60, 317, 1997. Grant, PR. and Grant, B.R., Hybridization, sexual imprinting, and mate choice, Am. Nat, 149, 1, 1997. Silva, A., Quintana, L, Ardanaz, J.L., and Macadar, O., Environmental and hormonal effects upon EOD waveform in gymnotiform pulse fish, J. Physiol., 96, 473, 2002. Podos, J., Huber, S.K., and Taft, B., Bird song: the interface of evolution and mechanism, Ann. Rev. Ecol. Evol. Syst., 35, 55, 2004. 140. Marler, P and Tamura, M., Culturally transmitted patterns of vocal behavior in sparrows, Science, 146, 1483, 1964. 141. Crespi, B.J., Vicious circles: positive feedback in major evolutionary and ecological transitions, Trends Ecol. Evol., 19, 627, 2004. 142. Podos, J., Discrimination of intra-island song dialects by Darwin's finches, Proc. Royal. Soc. London B, manuscript in review. 143. Nosil, P, Reproductive isolation caused by visual predation on migrants between different environments, Proc. R. Soc. Lond. B, 271, 1521, 2004. 144. Nosil, P., Crespi, B.J., and Sandoval, C.P., Host-plant adaptation drives the parallel evolution of reproductive isolation, Nature, 417, 441, 2002. 145. Vamosi, S.M. and Schluter, D., Sexual selection against hybrids between sympatric stickleback species: evidence from a field experiment, Evolution, 53, 874, 1999. 146. Arnold, S.J., Morphology, performance and fitness, Am. Zool., 23, 347, 1983. 147. Garland, T.J. and Losos, J.B., Ecological morphology of locomotor performance in squamate reptiles, in Ecological Morphology: Integrative Organismal Biology, Wain-wright, P.C. and Reilly, S.M., Eds., University of Chicago Press, Chicago, 1994, p. 240.